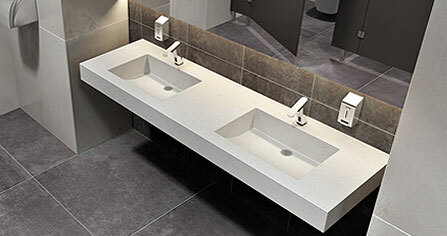 durability, standards compliance, and amazingly versatile design options. potential—there are several things you need to know. 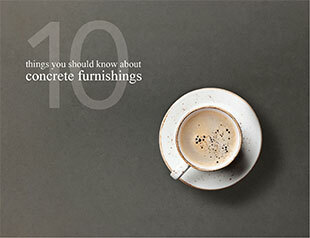 In 10 Things You Should Know About Concrete Furnishings, we have compiled the most important facts about concrete furnishings plus surprising answers to the most common questions we get from our customers. It’s yours, free. Click on the image to download your free copy now. Trueform Concrete is a custom concrete fabricator based in New Jersey servicing both commercial and residential markets. 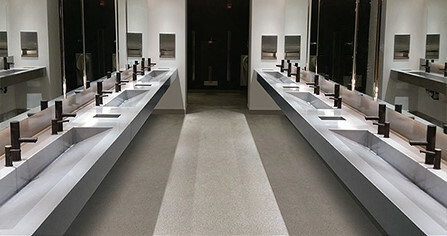 We work directly with designers, architects, purchasing agents, tradesmen, business owners and homeowners to provide top quality custom concrete products and superior customer service. 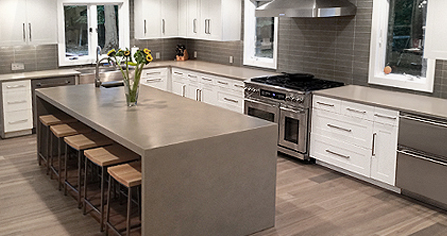 Our goal is to exceed your expectations by not only providing beautiful, well-designed handmade concrete products, but ensuring that your overall experience with our company is a uniquely positive one from start to finish. We do this by listening to your needs from the beginning and working with you throughout the entire process. We provide useful information, tips and tricks along the way to ensure that your project runs smoothly and that everything fits properly and works correctly in the end. We look forward to hearing from you and working with you on your project!